Figure 8 is an example of a map depicting various locations of target hazards, based on defined criteria using a scoring system. In this case, properties are color-coded in accordance with their particular score, making it easier to quickly identify those with the highest levels of risk. Another option would be to generate a map depicting only those facilities with the highest levels of risk, rather than all properties and structures. There are software applications available for developing a GIS-based analysis. ArcGIS® by Esri® is a very powerful GIS application. 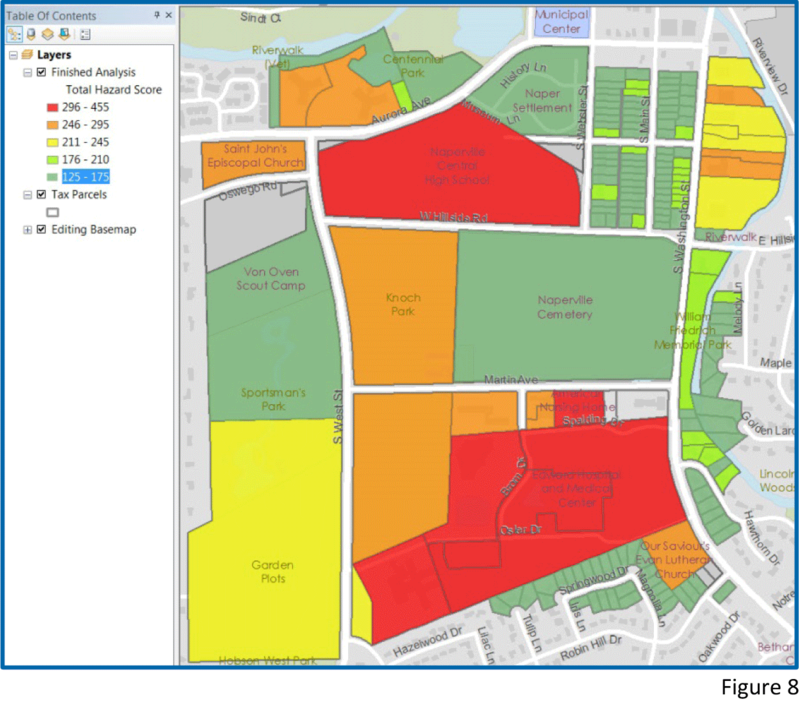 Departments using ArcGIS for Desktop can obtain the Target Hazard Analysis tool, which has been specifically designed for use by the fire service and other public safety agencies.